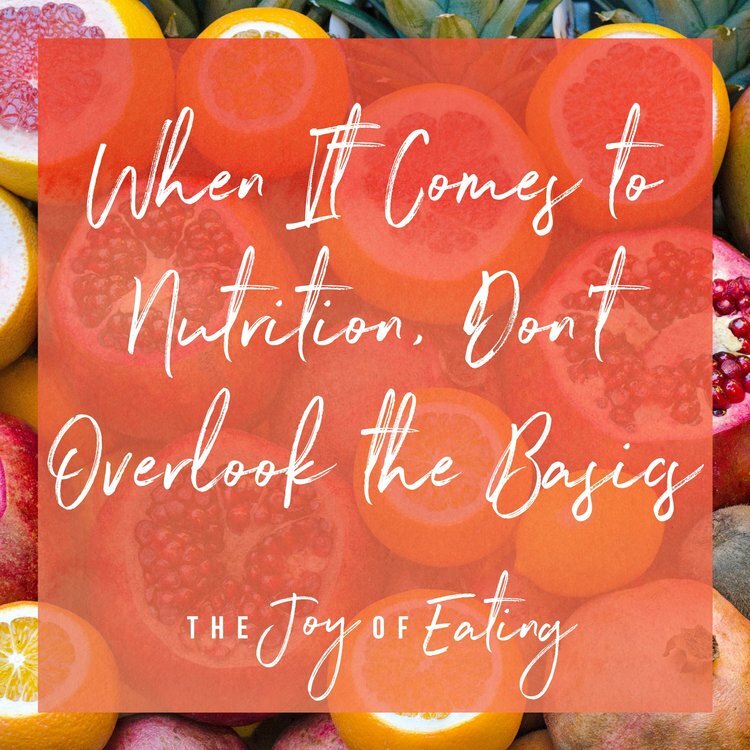 This topic of the role of nutrition facts in intuitive eating came up in a dietitian facebook group I’m a part of, and it reminded me that I’ve been meaning to write a post about it. Last week when I was packing lunch for work, I grabbed a carton of bean soup. On the cover, it looked pretty thick and hearty, so I figured the soup would probably be enough. But then I thought what if it wasn’t as thick as it looked in the picture, so I glanced at the nutrition facts. Sure enough, the soup was 300-400-ish calories, so I knew it was likely pretty brothy and that I would need more. Accordingly, I packed a couple other things to go with my soup to make a satisfying meal. This is a great example of how the nutrition facts can be helpful, and not harmful. I usually don’t recommend reading the nutrition facts, but at a certain point in your intuitive eating journey, it can serve as a source of useful information. When the meaning of those numbers is neutralized and detached from trying to manipulate your body size, the nutrition facts can be a useful tool in conjunction with (and never more important than) your internal cues. Carbohydrates can give you an idea as to whether a food will keep your blood sugar stable until your next meal or snack. Fat and protein could be clues as to how filling a meal or snack is. If you’re early in your intuitive eating journey, I wouldn’t intentionally seek out the nutrition facts. However, with restaurants and food packaging often highlight nutrition facts in a way that’s impossible to ignore, it gives you an opportunity to practice thinking about those values neutrally, and using the information to make a food decision that’s geared at feeding your body adequately.